The recent election for the Chief Rabbinate in Israel has resulted in a win for the 2 Charedi candidates. First let me say that I have nothing personal against either candidate as I don’t really know much about them. 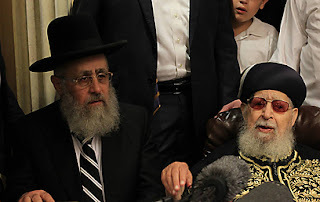 What I do know is that the Sephardi Chief Rabbi will be Rav Yitzhak Yosef son of former Chief Rabbi Rav Ovadia Yosef; and the Ahskenazi Chief Rabbi will be Rav David Lau, son of former Chief Rabbi, Rav Yisroel Meir Lau. Whether they will rise to the level their fathers - both of whom honored the institution by the manner in which they served it - remains to be seen. Although there seems to be some controversy about R’ Yitzchak Yosef’s past statements which trouble me, that is not my issue here. What concerns me is how these 2 rabbis were elected, who supported them… and why. They were elected by a panel of 147 electors under the jurisdiction of the Religious Affairs Ministry. To say that this election was a situation of ‘politics as usual’ would probably be an understatement. When you have a electoral body with so few voting members, political pressure will certainly have an impact. Thus making a fair assessment of what is best for the country – and actually Judaism itself - becomes secondary. This is backroom politics at its best one might say... and is probably what determined this election. I arrived in Israel earlier this week and was talking with a friend about a business dispute he was having. I asked him what the local rabbi’s opinion was. “The rabbi is too busy to deal with it this week because he is involved in the elections for the Chief Rabbinate.” Immediately interested, I asked what particular involvement the rabbi had in the elections. This is how rabbinic leaders in Israel are chosen?! Patronage jobs for the children of local rabbis?! What kind of a rabbi chooses a candidate for rabbinic leadership based on what’s good for his own family instead of what’s good for Judaism?! To be kind - this community rabbi is less than a role model for even local leadership. And what does it say about the electors who allow themselves to influenced that way? Can there be any legitimacy given to these newly elected Chief Rabbis? One must also look at the motivations of the Charedi leadership for pushing their own candidates. It is called looking out for one’s own interests. 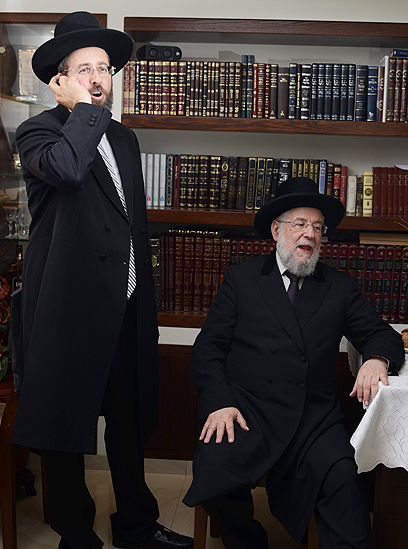 They want to make sure that the Chief Rabbinate does not do anything that will harm their Charedi way of life. That takes care of about 20 percent of the population. What about the welfare of the other 80%. I don’t think they give that much thought. The rabbinate is completely ignored by the Charedi populace. That’s because they do not recognize any Rabbi associated with Zionism – religious or otherwise. No self respecting Charedi would ever look to what either of the chief rabbis say about any issue. They only look to their own Gedolim. The Chief Rabbis are seen as far from that level of distinction and are in any cases tainted by their association with the evils of Zionism. What we have here is the Charedim making sure their interests are protected by controlling the rabbinate and could not care less about the rest of Israel… or if they do, they have a funny way of showing it. They have been assured of that protection by the loyalty of these newly elected Chief Rabbis to the Charedi rabbinic leaders on all issues that matter to them. 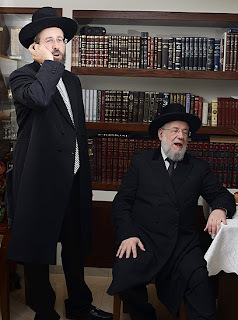 The losing Ashkenazi candidate, Rav David Stav is not Charedi and has no such loyalties. He was interested in doing what Chief Rabbis are supposed to do – work in the interests of all of Klal Yisroel. He is known as a man of high integrity that cannot be bought. His dedication to the Klal has already been demonstrated by the creation and leadership of Tzohar, an organization dedicated to all the citizens of Israel by helping to resolve difficult issues of the day. One can debate how this organization goes about this. But one cannot debate the fact that Rav Stav was all about the Klal and not about nepotism, patronage jobs, or the narrow self interests of one segment of people of Israel. How ironic it is that the Chief Rabbis are loyal to a minority segment of the Israeli population whose members will not take any direction from them. And the constituency that would take (and always has taken) direction from them will play second fiddle to Charedi interests. Ironic and sad! Is there any question anymore why so many people in Israel are so skeptical about this institution? They get no respect from Charedim and are viewed with suspicion from the Dati Leumi community. In other words they are viewed as pawns from both the Charedi side (positively) and the DL side (negatively). I’m sure they they mean it. But I’m not sure that they will not do anything other than what their Charedi rabbinic leaders tell them to do. Which in my view obviates the entire institution of the Chief Rabbinate. For are they not simply middle men for Charedi rabbinic leadership?